Space saver and easily built. 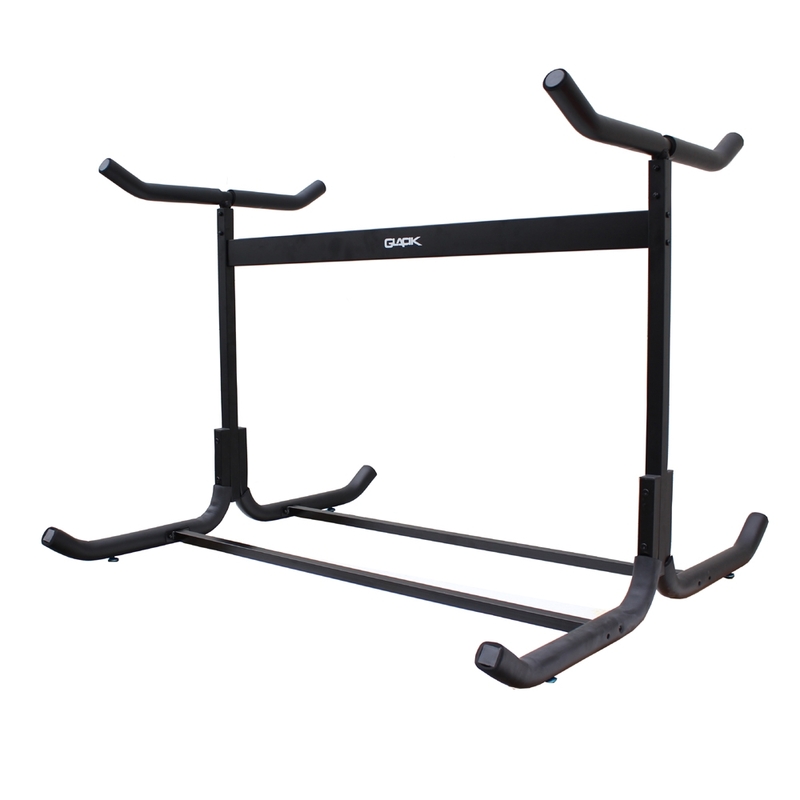 The Glacik G-505 Freestanding Triple Kayak and Canoe Storage Rack has a 250-pound maximum weight capacity and is a convenient storage solution for any style of kayak or canoe. Constructed of steel with a bronze finish, this unit stores a maximum of (3) kayaks or canoes off the ground and out of the way. The G-505 can be used in all weather conditions for indoor and outdoor use and features paddle cradles for additional space economy. The rack’s sturdy 48.5-inch by 45-inch base prevents the rack from tipping over and keeps even the heaviest kayak stored securely. 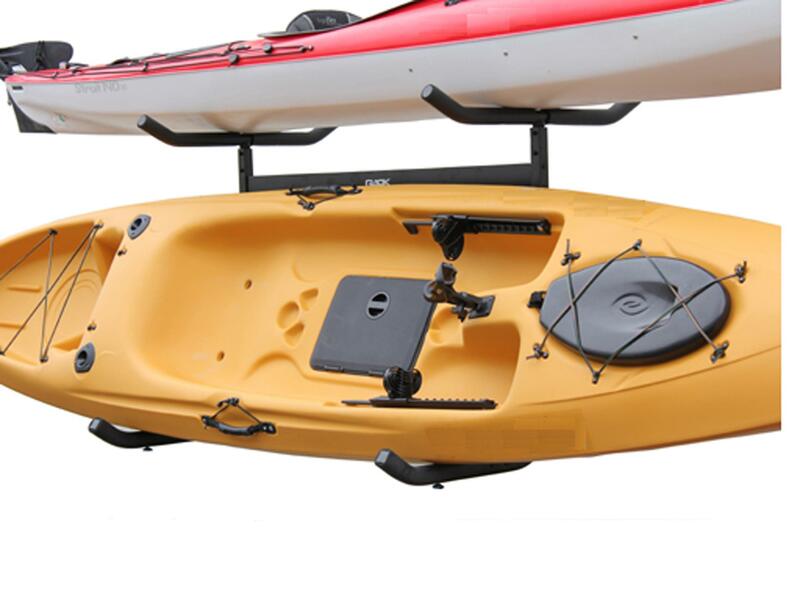 This heavy-duty rack fit kayaks and canoes with a length up to 20-feet and a hull size up to 36-inches wide and 18-inches deep. The Glacik’s unique and accessible design saves space, while making it easy for you to grab and store kayaks and canoes. 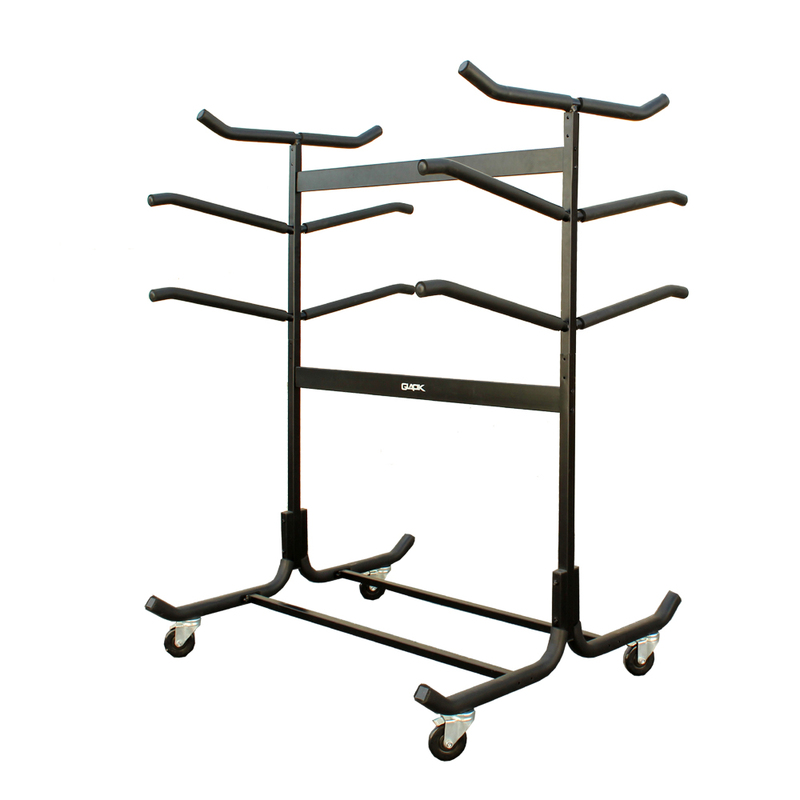 This unit is quick to assemble with no drilling into walls or ceilings. 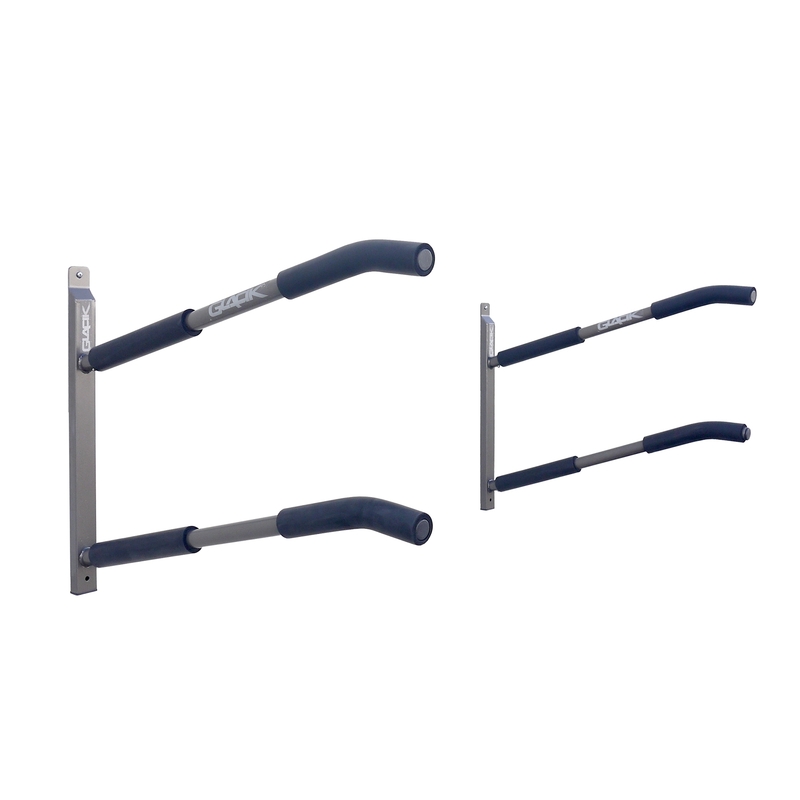 The Glacik G-505 Freestanding Triple Kayak and Canoe Storage Rack comes with a 1-year limited manufacturer’s warranty to protect against defects in material and workmanship. You may purchase caster wheels models # G-C4 (sold separately) to use on this system.